The inspiration for Beautiful Day Café is woven into a tapestry rich with lush gardens and small-town cafes. It is more than a nod to the farm-to-table, slow meal and locavore movements – it is a community of neighbors committed to incorporating all of those values into their daily lives. It is equal parts homespun tradition (using the freshest and closest ingredients) and common sense – all mixed up with some fine skills in the kitchen. The Beautiful Day Cafe seasonal menus are founded in organic practices. Whenever possible we source from local and regional farmers and fair/direct trade cooperatives. Our primary focus is divided between providing healthy, delicious meals (good for the body and the planet) and sharing this information with the community. A natural extension of the Café is the Green Street Permaculture Garden (adjacent to our building at the intersection of Green and Central.) The foundation for this garden has been meticulously laid by a growing army of volunteers, and when at full production will allow us to fill your plates with our bounty. In the interim, it serves as the classroom where we can practice, and teach, sustainable, natural land practices. This community of volunteers speaks to a much greater void that Beautiful Day Café is filling. It is so much more than a place to grab a bite to eat. Charolett Knapic and her team of imagineers have built a clubhouse where playing along is encouraged and the community has rallied around the dream with great support. 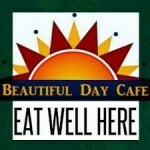 Beautiful Day Cafe sees itself as a community link for conscious living. We incorporate practices that regenerate wholeness and create purpose in our daily lives throughout the building and management of Beautiful Day Cafe, the Green Street Permaculture Garden, composting sites, hen house, water feature, fireplace, greenhouse and garage. 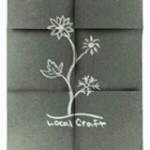 We at local craft want to showcase through our food the craft and skill of those farmers, ranchers, artisans, and wine makers who are in and around the Wichita area. We will be holding farm to table dinners throughout the year highlighting seasonal local ingredients. Join us on Facebook, and we will keep you posted! to your table.”If you have suggestions for a local producer who should be featured on our menu, please pass this along to us. We aim to engage our community while serving you the freshest ingredients in town. Tanya uses as many fresh, local ingredients as possible with a menu that is flexible and seasonal. The core menu will feature dishes that diners will remember from the original Tanya’s Soup Kitchen, as well as daily specials to add variety to take advantage of the availability of locally sourced, seasonal ingredients.Tanya’s Soup Kitchen is a quick-service restaurant serving unique, tasty, hand-crafted soups, sandwiches, and salads that are creative and delicious. We are open M-S for lunch, 11-3, then open for dinner on Friday and Saturday from 5-8! 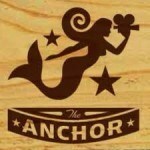 The Anchor is a social, comfortable downtown bar & grill located in Wichita’s Douglas Design District featuring crafty cocktails, wine, spirits, and 58 craft beers on tap. With signature plates like the Haystack, Chicken-fried pork loin, and the best Reuben in town, you’ll enjoy traditional bar fare in The Anchor’s distinct style.